Hey lovelies! 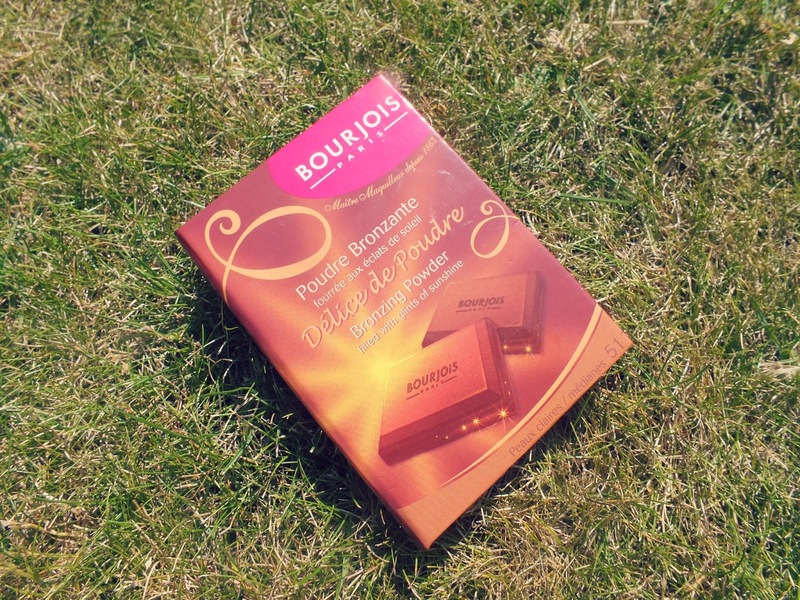 I'm reviewing another Bourjois product for you all today, this time, the infamous 'Chocolate' Bronzer. I'm seriously late on the bandwagon with this one as this has been a cult blogger product for ages now, but as I mentioned in my review of one of Bourjois' new lip crayons, I hadn't really tried many products from the brand before now! So, when Bourjois was on 3 for 2 in Boots, I just knew this baby had to come home with me so I could see what all the fuss was about. So, my beloved Soleil Tan De Chanel was put (lovingly) into a drawer, to make room for this beauty in my every day makeup bag. I really love the colour of this bronzer, some have said it's a bit orangey but I think it's quite natural looking (unless the fact that I'm an Essex Girl is altering my orange detection skills!!). 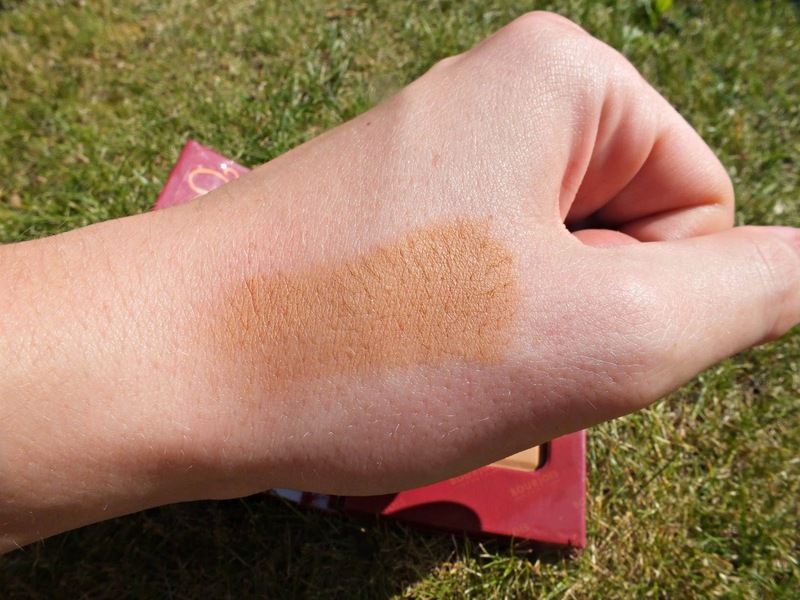 I did buy the lightest shade, which is plenty dark enough for me and I do think had I have bought the darker one, I may have ended up looking a bit more Sugar Hut than sunkissed, but on my skintone, this shade is lovely. It's really easy to blend out too, making it perfect for contouring, as I don't end up with cheek stripes, but also for all over bronzing. It can be blended out a lot for a more subtle bronze, or built up for a night out/ if I'm just feeling a bit pale!! It's also pretty long lasting too which is great, with a lot of other powder bronzers, I feel as though they've disappeared by the end of the day which isn't any fun. I like that is has a very subtle shimmer, so it gives you a glow all over, but is still fab for contouring - yay for multi-purpose products! Also, can we take a minute to look at this bronzer. It's shaped like chocolate, luckily it doesn't look as if you've smeared chocoalte all over your face, but it smells like you have! It has a sweet, chocolately scent which I absolutely love. 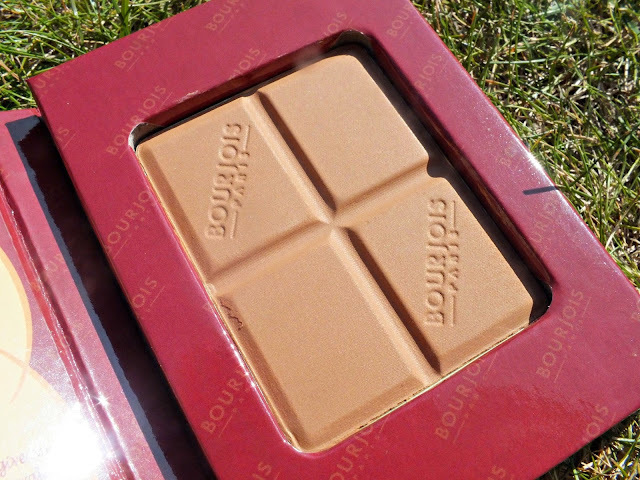 The scent is only noticeable when you're using the product and in the pan, so no need to worry about smelling like chocolate all day! The packaging is also very compact, so it's fab for taking out with you or for travelling. One thing I would say though, is I'd love for it to have a little mirror in the lid, though this would probably up the cost, which is not so fun. Overall, I'd thoroughly recommend this bronzer, if I even need to as so many of you have probably already tried it!! But in case you haven't and like me had been putting off giving it a go, I'd definitely say give it a try - you might fall in love with it too! I keep forgetting I have this in my makeup collection! congrats on being shortlisted!!! I really like this too. I definitely don't think it looks orangey. I love this bronzer! the smell is lovely too. I've seen this on so many youtube videos and blogs recently! I may have to purchase, thanks for the swatch aswell, was really handy!! this sounds lovely! the packaging looks like it is chocolate! and it smells like chocolate?! ahh, just makes it even better! the colour looks nice as well! being a pakistani, i am already bloody tanned, but this bronzer makes me wanna eat it! I love this! Not sure about the scent like most people, but love the bronzer. AHHH it looks lovely! Always wanted to have this! Couldn't have one anywhere I live! Now I want bronzer...and chocolate! Such a great review. Thanks!